A 17-year-old from Fairwater has won a gold medal in the fitness trainer final of a national skills competition. Part of Skills Competitions Wales, and backed by the Welsh Government, Inclusive Skills competitions are designed to help equip young people who have learning difficulties or disabilities with essential life learning and employability skills for the future. 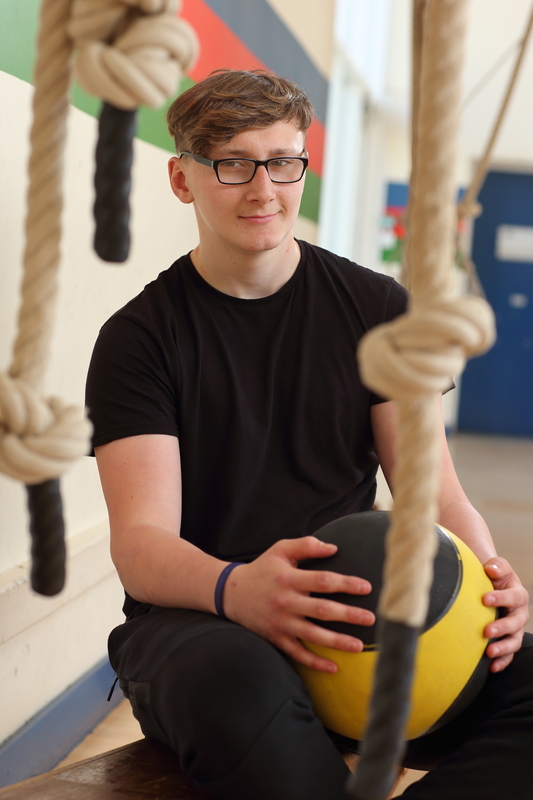 Anthony Cox, who is studying for a level two Vocational Access Entry Certificate, competed against five other students from across Wales in a series of fitness challenges within a 15 minute time period. The competitors were tasked with creating a gym plan for a client, demonstrating how to use equipment, and showing their awareness of health and safety guidelines. Anthony, from Cardiff and Vale College, said he couldn’t believe it when the judges called his name as the winner. “I’ve wanted a career in sport since I was a little boy when my dad, an ex-Cardiff Blues player, would take my brother and I to the park to play rugby. Anthony, who is following in his dad’s footsteps as a Cardiff Blues lock in the under 17s team, is determined to make a career in personal training. More than 35 competitions are taking place this year, across a wide range of different vocations from plumbing and beauty therapy to aeronautical engineering and accountancy. The successful Welsh competitors may go on to challenge youngsters from across the UK at the WorldSkills UK national finals, held at The Skills Show in Birmingham’s NEC this November. Minister for Skills and Science, Julie James said: “At the Skills Show last year, the Welsh team topped the leader board of UK regions winning a total of 45 medals, which demonstrates that we’re producing some of the most highly skilled young people across the nation. “In a year when Wales is celebrating legends of the past, competitions like these showcase the talent across the country and provide a platform for emerging Welsh legends of the future. “Along with Anthony’s hard work and determination the support from his family is an important factor in his success, and I would like to extend a special thank you to all the local businesses, schools and colleges across Wales who support these talented individuals.